Waterfalls are one of the most beautiful gifts from nature. Visiting a waterfall is one of the most unique experiences ever. The old walls of Dubrovnik have gained much popularity since they were used as the main film location depicting the fictional world of King’s Landing from the popular television series Game of Thrones. But look beyond those stately castle walls of imaginary Westeros – Croatia has always been home to other spectacular sights to offer for those willing to explore a little more. 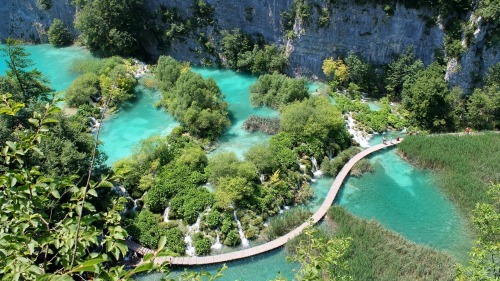 Here are some of our favourite sights in Croatia. The UNESCO World Heritage Plitvice Lakes National Park, located in the central Lika-Senj County, is the first national park in Croatia and one of its most photographed and visited sights. With 16 cerulean blue lakes, numerous waterfalls and lush green foliage, summer is the most popular time to take in the gorgeous park. Come winter, frozen cascades and snow-covered trees covers the surreal landscape. 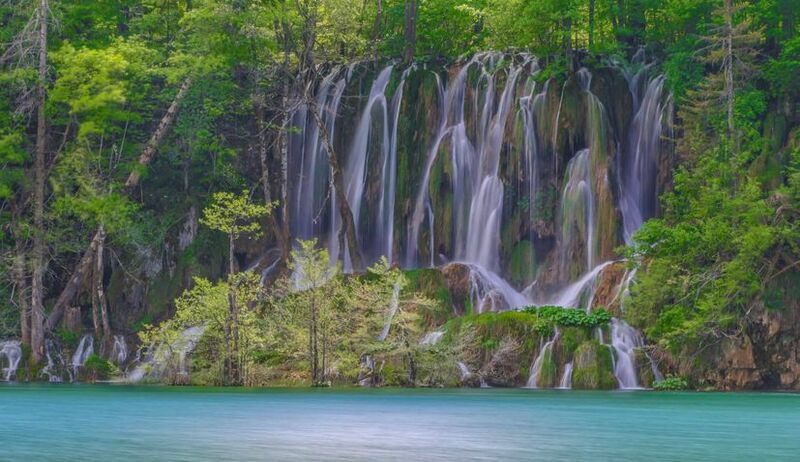 The majestic waterfalls of Krka National Park are located in Šibenik-Knin County between Zadar and Split. The best way to appreciate the falls is to get in the water at Skradinski buk(town) where you can swim quite close to the thundering cascades. Sixteen pools of crystal clear water and a chain of small and big waterfalls, surrounded by luxuriant green vegetation. 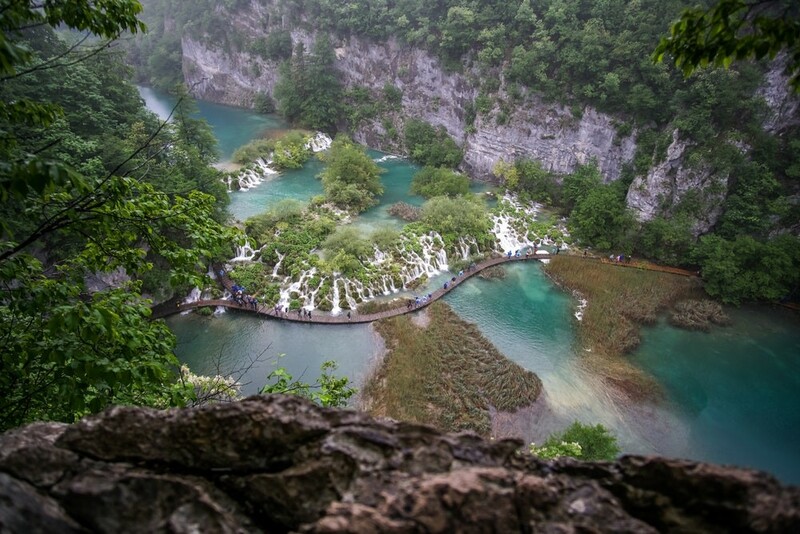 The Plitvice Lakes are Croatia’s postcard image of paradise on Earth, now threatened by a huge upswing in tourism, development and pollution. 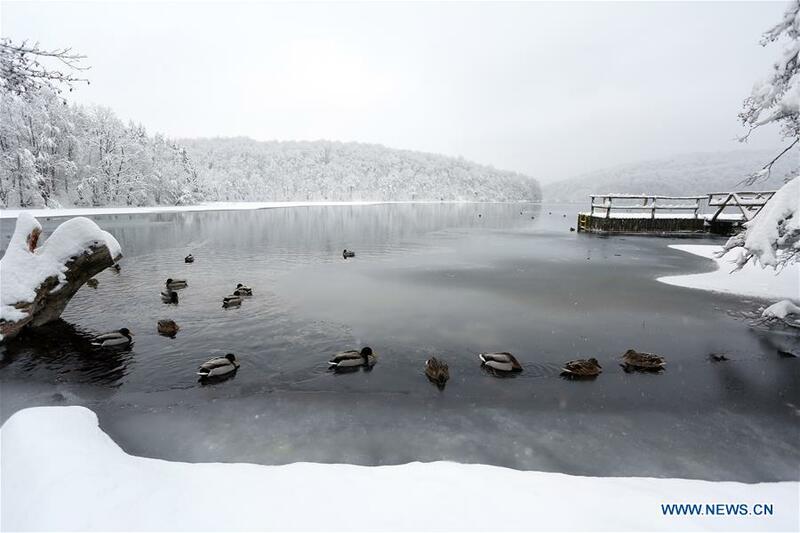 So much so that UNESCO (the United Nations Educational, Scientific and Cultural Organisation) will consider in June whether to put the Plitvice Lakes National Park, which is currently on the World Heritage List, on its List of World Heritage in Danger instead. The park runs the risk of losing its coveted status if doesn’t act quickly. Turning up the pressure, a group of Croatian war veterans organised a protest camp in the village of Plitvica Selo to draw attention to the excessive levels of construction within the area of the Plitvice Lakes National Park. Their sit-in lasted over 100 days, drawing the media attention they had hoped for. Unfortunately, the government didn’t react. Ivica Jandrić is one of the leaders of the movement. He grew up in the area and is well-aware of the damage caused by tourism-related development. Read more from source: Is this Croatian paradise in danger?